The Karma tank has proven to be yet another outstanding piece of yoga clothing from Cozy Orange. The “cozy eco” silky material is beyond soft and comfortable! 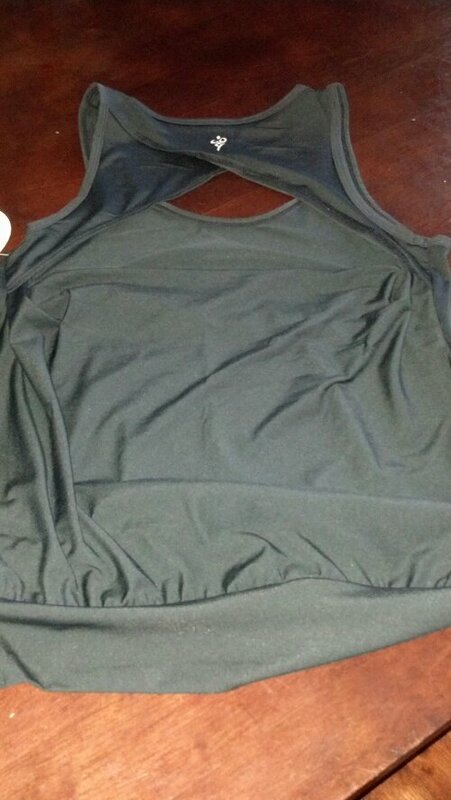 The open back and longer length make it an extremely breathable yoga tank. It fits true to size and is so super cute that, with the right bra (or not! ), it could be worn as an everyday top. The raven black color will go with everything, trust me, I will be living in this come summer! Overall, I am utterly in love with the Karma tank. Cozy Orange has done it again! From the eco-friendly packaging to the quality craftsmanship of the yoga apparel, you can’t go wrong. This yoga tank is sleek, lightweight, breathable, flexible, moisture wicking, and best of all stylish and versatile. 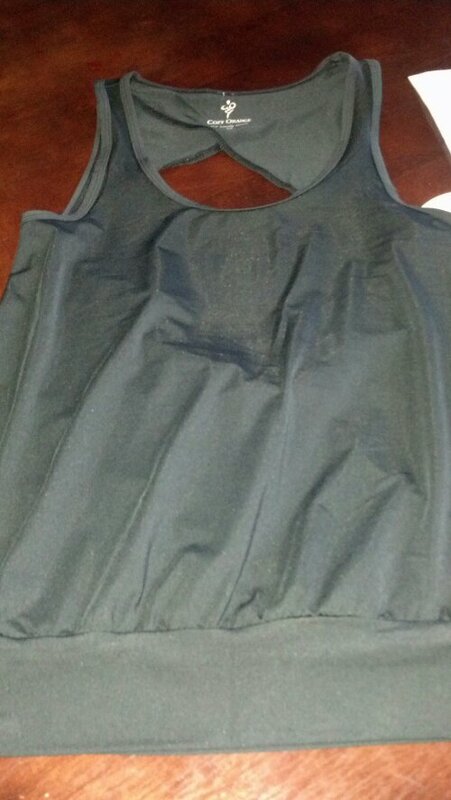 You can go from the gym to the grocery store or your kid’s school functions without having to worry about changing your top! It’s as close to perfect as yoga tanks can get. I highly recommend the Karma yoga tank to anyone looking for an affordable, high quality, comfortable, practical piece of yoga apparel. Cozy Orange has quickly become one of my favorite places to turn to for amazing workout gear! If you are thinking about purchasing a yoga tank, look no further, the Karma tank is the one! Check out this tank, and all the other awesome apparel from Cozy Orange, here. What is your favorite brand of workout clothing?